The Knitting Pirate » In Which the Pirate Visits Canada. « In Which the Pirate Travels in Time. In Which the Pirate Visits Canada. Once again, I visited my sworn-sister the Knitting Ninja (along with a bunch of other friends) in her hometown of Ottawa for the annual Winterlude festivities. In addition to the usual things we do there - eat stew at the cook-off, drink lots of beer, buy fancy cheeses and make a meal of them, watch the Super Bowl - we visited two yarn stores. Our first stop was the new Yarns Etc., where I acquired a skein of Cascade Heritage Paints in the understated blues and grays "Thunder" colourway. Understated blues and grays... if you've been following along for a while, you may have guessed that this is going to be socks for Michael. (And if you haven't, now you know!) I have no idea when I'm going to get to them, and first he has to tell me where the last pair of socks could fit better, but eventually there will be a new pair of plain ribbed socks for him. Since it was within blocks of our hotel, we walked down to Yarn Forward. 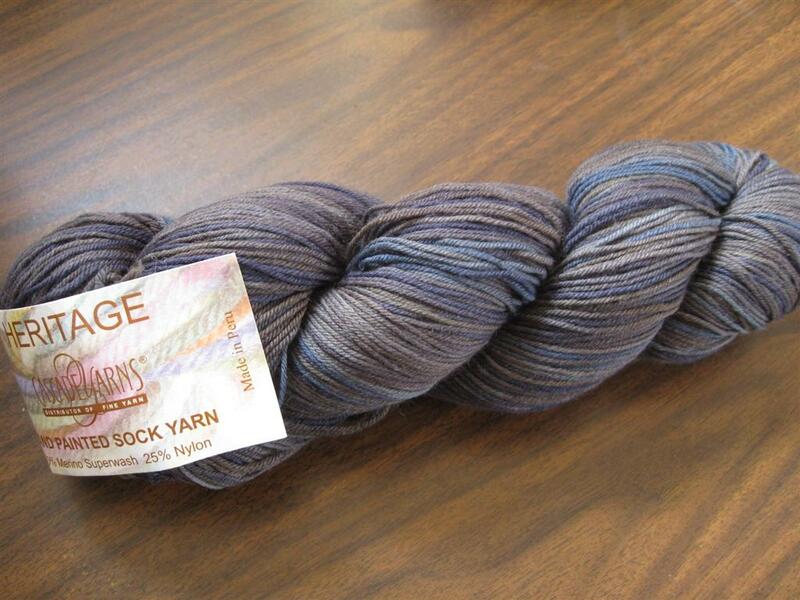 Last year I'd gotten two skeins of Lang Merino 120, a smooth DK weight superwash yarn, in black. 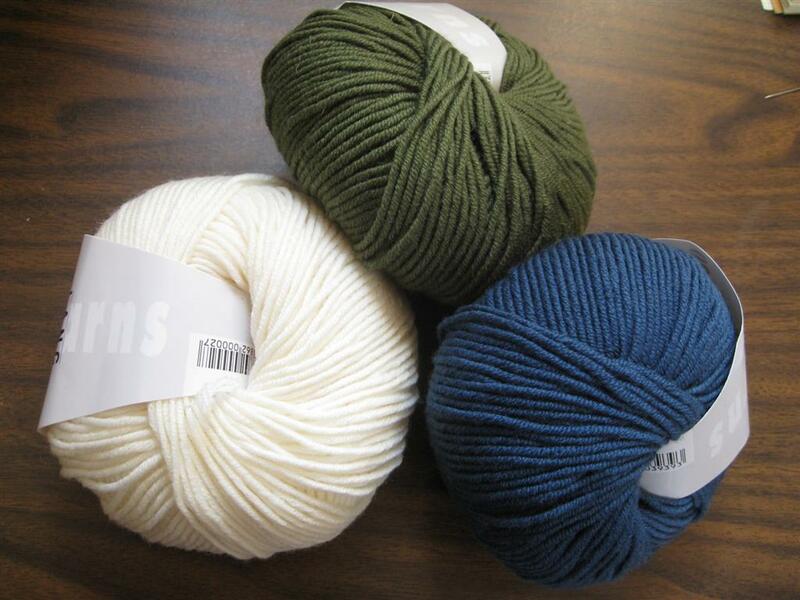 This year I supplemented them with three more skeins, one each of cream, green, and blue-ish. The colours aren't exactly wintery, but somehow they remind me of winter. Blue and green are more springlike, but with the cream in there they make me think of ice. So I'm thinking of designing a Winterlude-inspired hat and armwarmers set to be my very first for-sale patterns. To that end, I wandered around the ice sculptures in Confederation Park looking at, and sneaking pictures of, people's hats. There was lots of inspiration to be found, since of course in February in Ottawa it's cold enough for nearly everyone to be wearing a hat, and many of them are hand-knit. Speaking of gloves, there's another finger to repair on my Fleeps. They still kept my hands warm, though I can definitely feel that they're getting thin. Maybe I can wear them for another year, but then it will be time to make another pair for myself. Meanwhile, Michael's new Fleeps made their debut and did their job wonderfully. He says he's going to show them off to everyone, and I totally believe him. The magnet-snaps that I sewed in are seriously awesome. My next pair will definitely have those included. 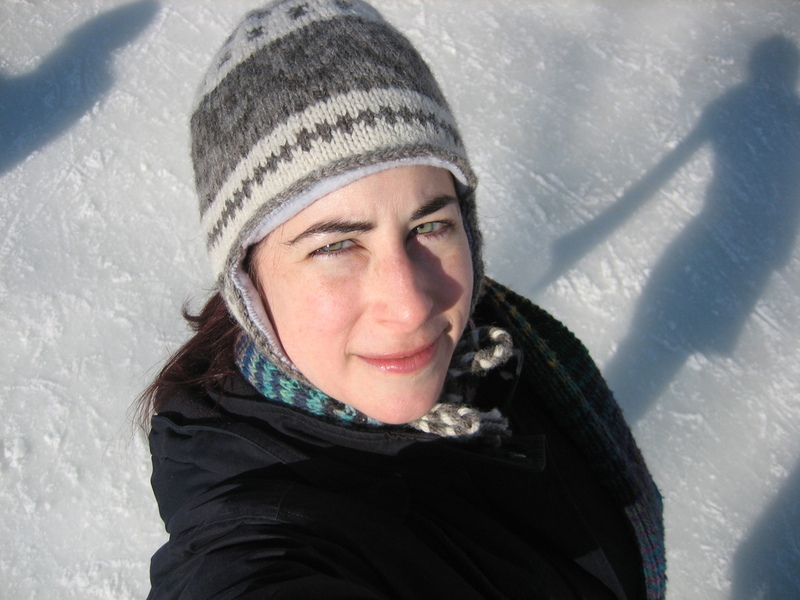 This entry was posted on Wednesday, February 16th, 2011 at 10:00 and is filed under design, fleep-top, gloves, hat, LYS, meta-knitting, stash, winterlude hat (tm), yarn. You can follow any responses to this entry through the RSS 2.0 feed. Both comments and pings are currently closed.